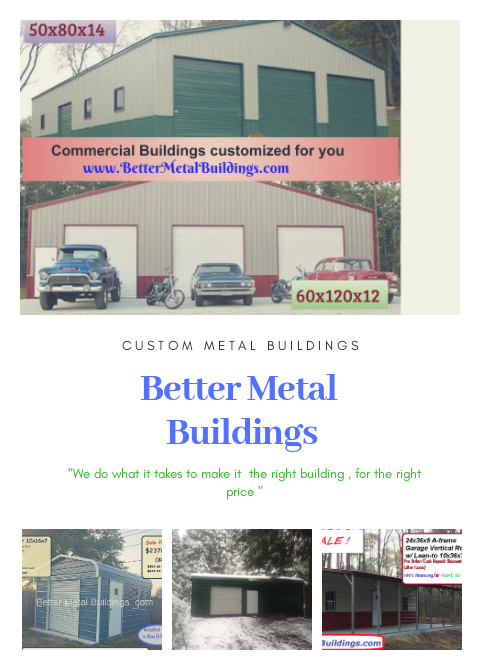 Commercial metal buildings are the most popular building styles for retail, wholesale, office space, and commercial steel structures projects in America. 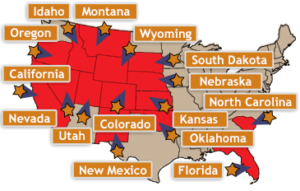 Each year, around 170,000 commercial structures are built, and of those, up to 90% are steel-frame buildings . These steel buildings are not limited to simple boxy designs. Quite the contrary, the commercial metal building designs can be very attractive with a contemporary flair. 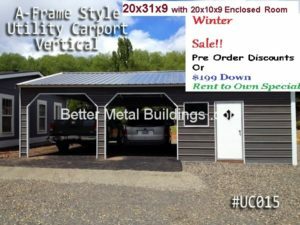 The construction of commercial metal buildings is faster and more economical than using other building materials. 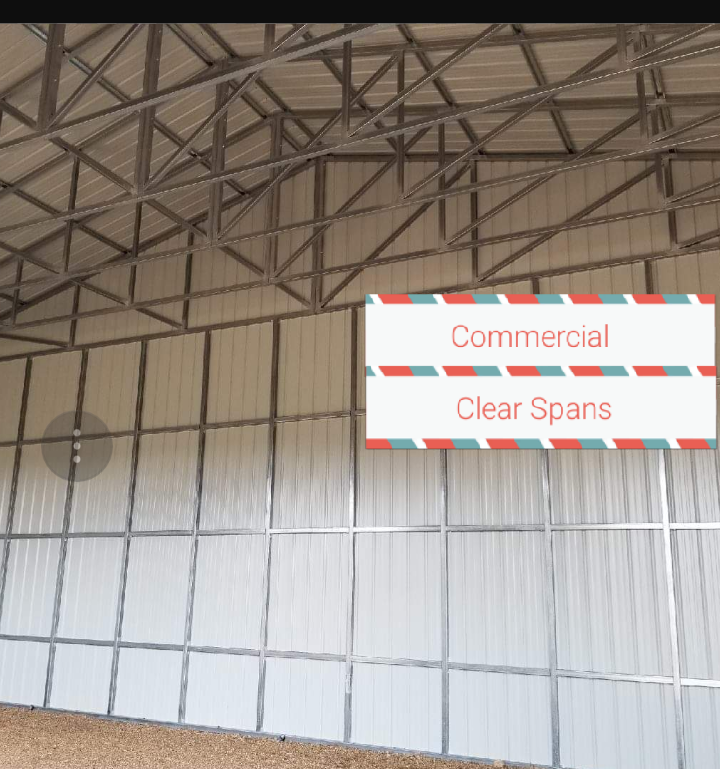 Due to their lack of interior support columns or barriers, clear-span metal buildings are also known as free-span structures. With such an open space, these structures are more versatile for residential, commercial, or agricultural uses. They can be installed in a much shorter time than wooden structures without any hassle. 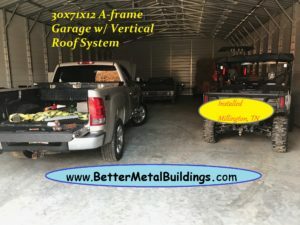 Better Metal Buildings even offers free delivery and installation throughout the entire continental United States, making this building an exceptional option!With precise engineering, these structures are not only durable, but also versatile. They can easily be taken down and relocated if needed, something that is not easy to do with a wooden or brick building.Cleaning is a breeze! Metal is much easier to clean compared to structures built with wood or other materials. 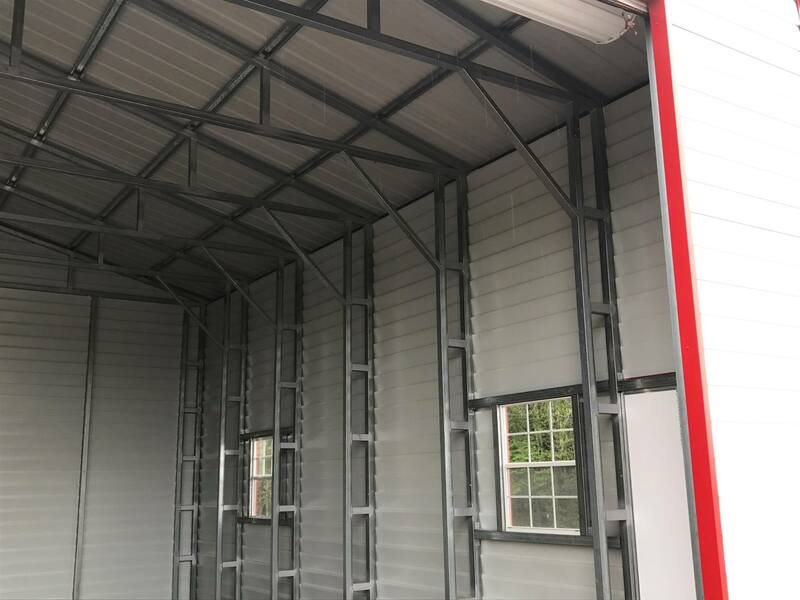 You can easily rid your building of any dirt or grime with just a little soap and water, or simply let the rain do the job for you!The versatile design of a clear-span structure also allows for more clearance and higher ceilings. These are only a select few of the many advantages that come with owning a free-span building. For more information, give one of our knowledgeable building specialists a call today! 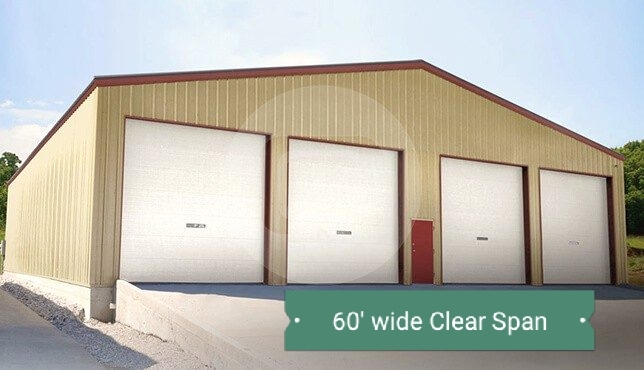 Pre-engineered clear-span buildings are commonly utilized for storing large equipment and over-sized vehicles. 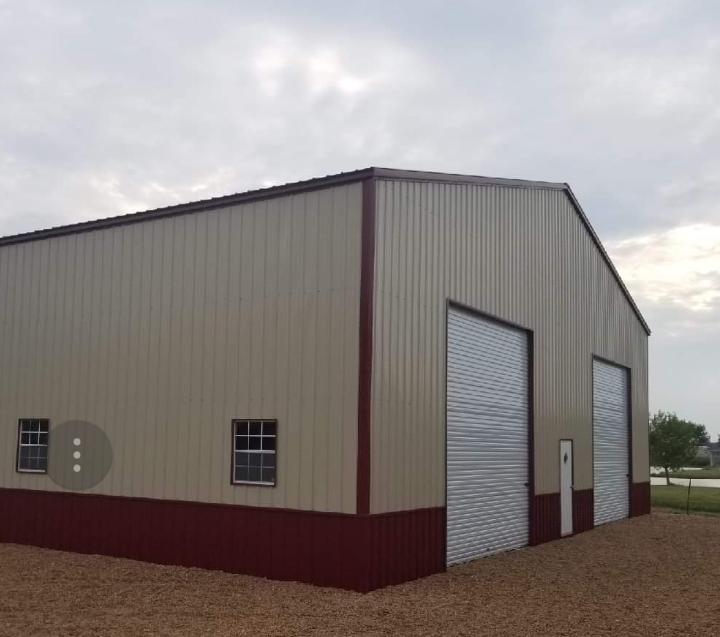 With their flexible designs, you can use the facility to fulfill whatever need you may have: a horse barn, repair shop, or maybe even a retail store. No matter what your intentions for the building may be, we can find the perfect solution for your needs! The possibilities for a metal structure are almost endless! We do have professional building specialists standing by to assist you during the process, if needed. Just give one of them a call today at (318) 820-1139. 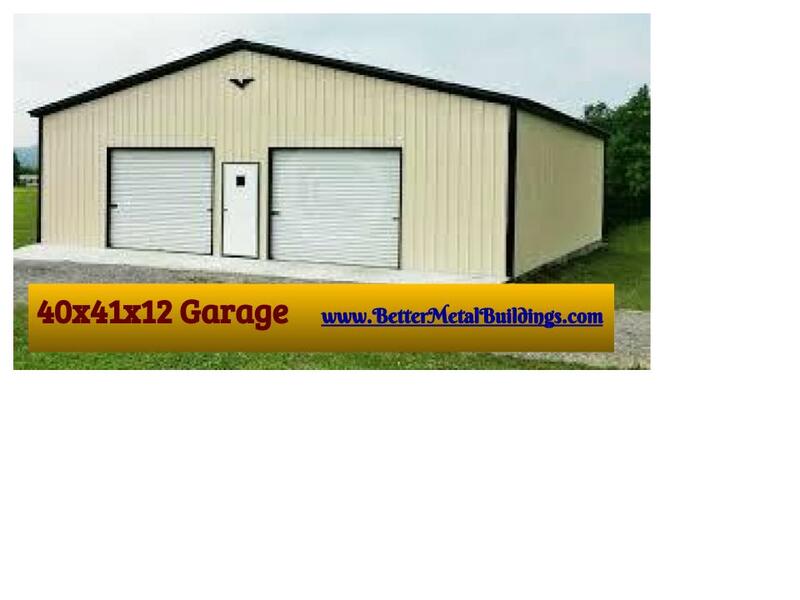 Why should you buy commercial metal buildings? 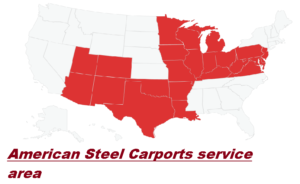 All the parts of commercial steel structures are pre-made in the factory to exact specifications. Every piece is cut, drilled, and welded to any others necessary before the materials arrive at the construction site. This makes on-site assembly quick and easy. Construction time is reduced by as much as one-third of the time normally needed using other materials. 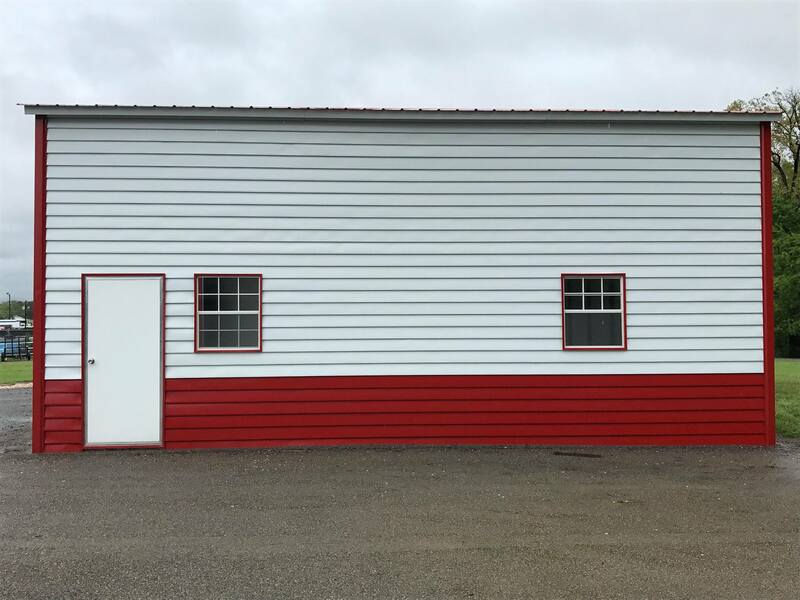 For franchise operations or store chains, these steel building can match a similar company-approved design to increase brand awareness and to reduce overall investment requirements due to economies of scale. These buildings are stronger, more durable, and made from eco-friendly materials that are easily recycled. 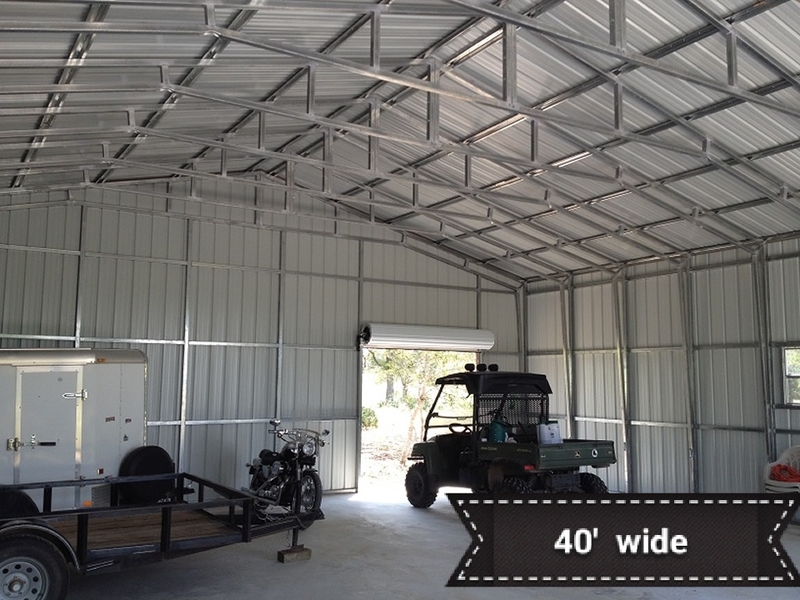 Commercial steel structures offer flexibility of space and are cost-effective. 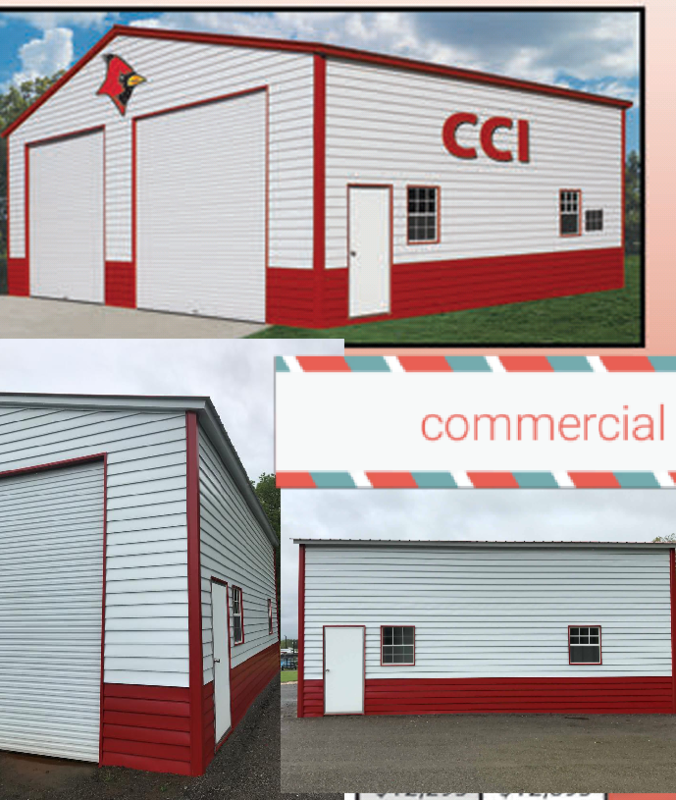 Contemporary commercial metal buildings are available in many dimensions for every imaginable usage purpose. 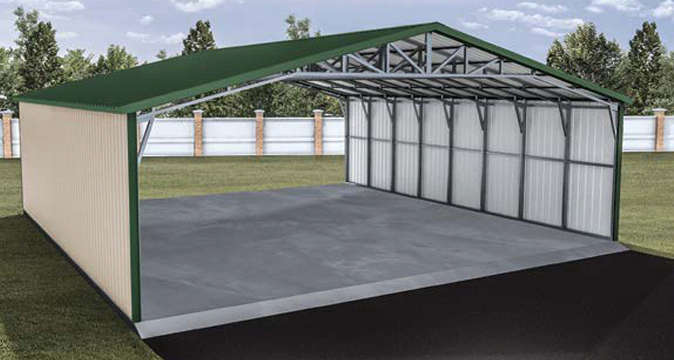 They can be dedicated spaces for a single purpose such as storing inventory, equipment, tools, supplies, vehicles or used as additional workspaces. They can also be designed as multifunctional spaces that serve as a combination of offices, retail or wholesale space, warehouses, and shipping areas. They can be one-story buildings with very high ceilings, such as those used for small aircraft maintenance purposes or multiple stories, such as traditional office space. The only limit for the design of these buildings is the imagination. Virtually any design can be created. 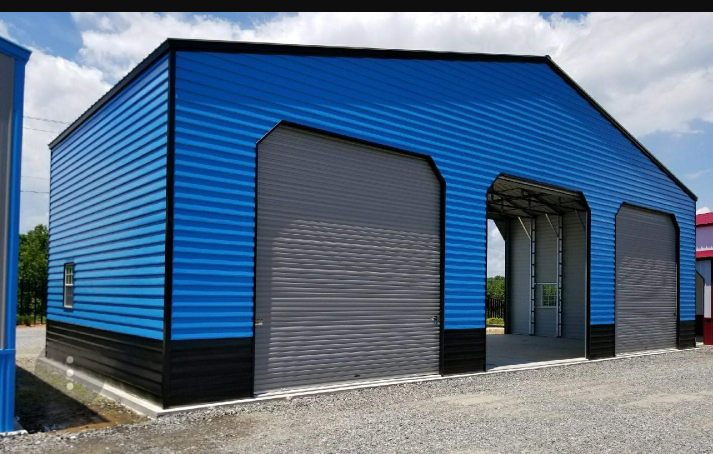 Common uses of commercial metal buildings include mechanic repair shops, hardware stores, manufacturing units, distribution centers, farm-supply stores, among others. Large open areas within these commercial metal buildings can easily transform into dedicated work areas by using portable partitions. A very hip and modern example of this is when commercial steel structures are used to create a shared workspace for artists, designers, architects, engineers, and technology work centers. The savings, in construction time and expense, help businesses using steel buildings to be up and running faster with less capital outlay. Steel buildings are easier to maintain than those constructed out of wood because they are not subject to dry rot or termite infestation. 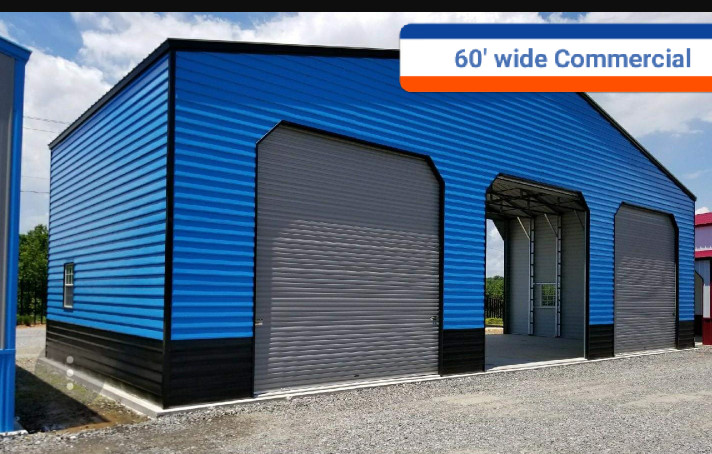 Steel commercial buildings compare very favorably to the cost of construction and maintenance of buildings made with other materials. On a per-square-foot basis, they offer a cost-effective means to store valuable vehicles, equipment, tools, inventory, and business records that need to be kept in a secure environment and protected from the elements. 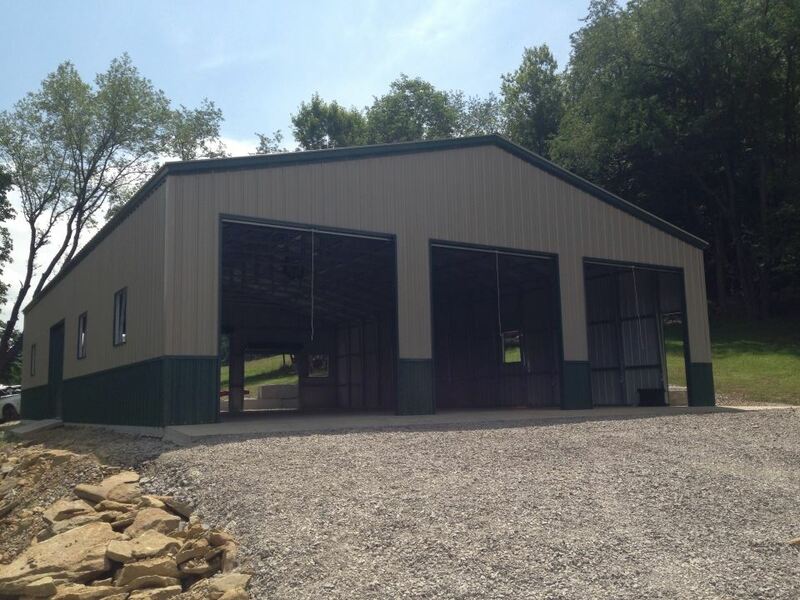 Industrial steel buildings offer toughness and extensive possibilities for customization. Buildings made from steel are built to last. The strength of the steel framing is self-supporting. This allows them to have very high ceilings and for the roof to span great distances without the need for support columns or load-bearing walls that interrupt the open interior space. Standard designs can easily span up to 150 feet in length. 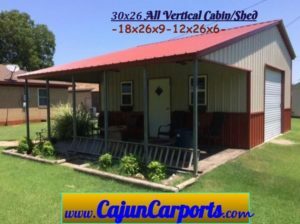 Custom designs can get even bigger and go up to 300 feet long offering even more clear span space. 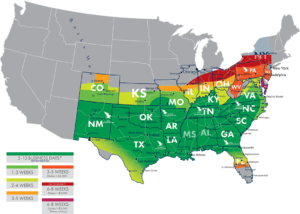 Steel buildings are extremely weather-resistant. With the minimal maintenance for rust prevention, they can have a useful life of thirty years or longer. This toughness is one of the main reasons that they are so popular. 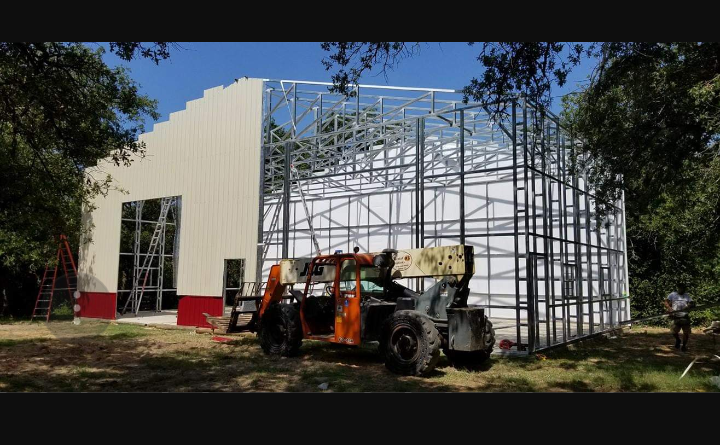 All steel buildings that are for commercial or industrial uses can be customized in a variety of attractive and useful ways to meet any requirements. For example, the interior can be all steel, and the exterior can be any desired decorative facade, including economical siding that has the appearance of brick, wood, stucco, glass, or stone. Any doors, windows, signage, landscaping around the perimeter, and lighting features can be added to create a beautiful aesthetic and an appealing look. Facades, decorative entryways, canopies, treatment of eaves, drive-up and drive-through spaces, and covered exterior areas can be used to make an attractive design.